David Knoepfler, MD, MBA, FACP, FHM, is an invested and involved Eastside native, having attended Bellevue public schools through high school and the University of Washington through medical school prior to joining Overlake. Dr. Knoepfler has worked at Overlake the majority of his career, starting as a volunteer in the emergency department in 1983. 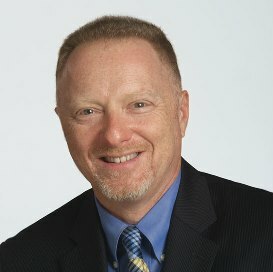 Most recently, Dr. Knoepfler served as the Chief Medical Information Officer working directly to engage employed and community physicians in the development and implementation of Overlake’s Epic electronic medical record system and ensuring the system properly supports the clinical care of our patients. As Chief Medical Officer, Dr. Knoepfler is primarily responsible for clinical quality and patient safety—engaging physicians, administration and others on clinical integration opportunities as well as emerging and innovative models of health care delivery. He will also work to develop care across the continuum of inpatient and outpatient services. Additionally, Dr. Knoepfler works diligently to build physician leadership, investment and participation across the organization and partners with the chief of staff and the medical executive committee to inspire improvements and accomplish change when needed.